Over the last decade Canadian guitar manufacturers have been enjoying greater recognition in the world market. Among the guitar manufacturers, Dot On Shaft Guitar Company is rapidly becoming a well-known brand by creating instruments made with high-quality woods and featuring decoration that challenges what is found on privately hand-crafted instruments. Dot On Shaft’s Carparelli solidbody already has a strong following among musicians who want an affordable instrument. 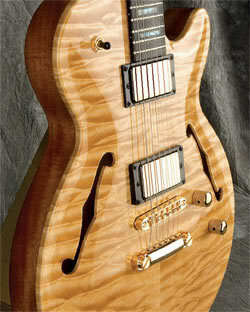 The Carparelli S3 Semi Hollow body expands from that worldwide success. Legendary archtop tones are easily created from this specialized hollow body, and thanks to its exceptional construction and Carparelli handwound humbuckers, likewise, the Carparelli S3 is equally capable as a brawling rocker. Dot On Shaft takes full advantage of Canada’s native supply of high-quality woods. The arched back and sides are both created from mahogany, while the top is made of AAA quilted maple. The angle formed by the blending of the arched top and the neck joint is not noticeable different from that of a solidbody guitar, so playing the S3 Semi Hollow requires no change of the player’s hand position. 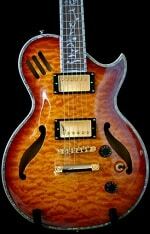 The Carparelli S3 Semi Hollow is a genuine hollow body–it doesn’t have a center block. However, it does utilize a thick chunk of mahogany sustainer block positioned under the bridge. Not only does the mahogany sustainer block add stability, it mixes a warm tone into the bright maple chamber. Dual f-holes and three air slots on the upper bout allows the guitar to breath resonance. 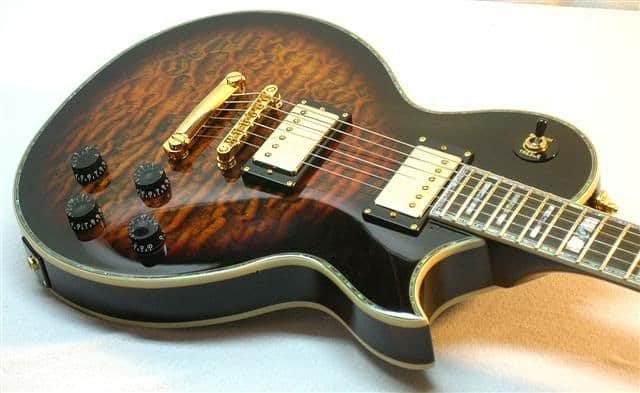 This style of guitar is among the most pricy to produce, so it’s very impressive that Dot On Shaft can sell this precision-crafted guitar under $1,500. To smooth out the maple’s tone, the S3 Semi Hollow is a one-piece solid mahogany neck. It’s C shaped, relatively narrow taper, namely in the tradition of classic jazz guitars, so it is fairly easy to grip and fast to play. The 22 short and slender frets are also comparable to what might be found on a jazz guitar. While this slightly eliminates the instrument’s touch sensitivity, it’s outstanding for smooth transitions and complex chord harmonies. 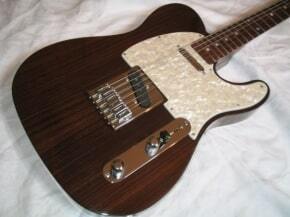 The rosewood fingerboard adds a hint of dark and warm tone. Most of the fretboard is covered with fancy vine inlay of mother-of-pearl and abalone. Inlays are extravagant as this extra crafty-work usually cost more than the total asking price of this guitar, incredibility, the Carparelli S3’s body, headstock and fingerboard are also bound in abalone, and the inlaid logo is twisted with mother-of-pearl. As if that weren’t enough to grab attention of the audience, the Tune-O-Matic bridge, stop tail, tuners and pickup covers are plated in alluring gold. Electronics are made up of a set of Carparelli handwound double humbuckers in the bridge and neck position, plus a three-way toggle. Because hollow body guitars illuminate so many overtones, the pickup-specific volume and tone pots are a must to dial in certain sounds and make the output to various gain levels. The Carparelli S3 Semi Hollow is without a doubt capable as a jazz guitar, and its comfortable fast neck feels like the twig on a classic archtop. That is where the resemblance ends, though, because the Carparelli S3’s other characteristics made it more of a crossover between a solidbody and hollowbody. Resounding acoustics radiate through the body in especially tight patterns, which fight any natural propensity for feedback when high gain or distortion is added. Whereas the pickups on a jazz guitar are geared toward specific applications, the Carparelli handwound pickups make the Carparelli S3 Semi Hollow compatible with any amp. 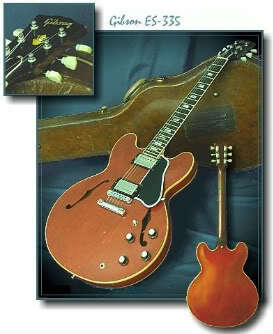 Fat and woody archtop tones are easily coaxed through the handwound neck pickup, which adds a velvety fur to each note. When distortion is applied, this pickup helps the Carparelli produce stacks of sound that are very close to Peter Stroud’s famous mix of clean and driven overtones. Through a high-gain amp, the neck pickup remains gritty but also becomes creamy and sweet. ’a la Gary Moore. By itself, the Carparelli handwound bridge humbucker can be harsh, but the guitar’s naturally soft bottom notes and bright treble bursts can be quickly compensated with a quick adjustment of the tone knob. Dot On Shaft’s Carparelli Semi Hollow is a visually stunning instrument, to say the least, with plethora of shell-bombing bling. At the same time, the Carparelli S3 melds traditional archtop acoustics with modern solidbody tone and playability. The axe’s focused bark adds sting to jazz styles, while the handwound humbuckers extend this guitar’s performance links to the realms of blues to hard rock.